Dhaka, Aug 18 (Just News): Rapid Action Battalion (Rab) will give traffic updates on Facebook from today in a bid to inform Eid holidaymakers so that they can make their travel plans accordingly. Every four hours, Rab headquarters will give updates on their Facebook page on the overall situation and schedules of bus, train, launch and highways in the country, Benazir Ahmed, director general of Rab, said at a press briefing at Rab media centre at Karwan Bazar today. Apart from the headquarters, 14 Rab units will also give traffic updates on the highways of their respective zones every four hours, Benazir said while briefing on Eid security measures. A two-week long security measure has been taken ahead of Eid starting from August 13, said the Rab DG. 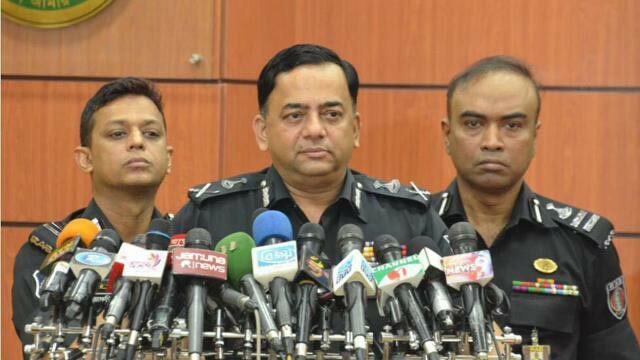 A total of 1,945 patrol teams have been deployed, 56 striking force teams kept reserved and 20 temporary camps established in Dhaka and other major points such as Abdullahpur, Joydebpur, Konabari, Chandra, Meghna Bridge, Gomti Bridge, Paturia, Daulatdia and Mawa. There will also be camps at important cattle markets. Rab, highway police and local police will continue giving their services so that holidaymakers can go home safely. At Mawa ghat, there is problem with navigability but work is going on and small trucks are entering Dhaka with cattle and until yesterday evening 6,500 cattle-laden trucks entered the capital. Ahead of Eid, a total 37 criminals have been arrested. The Rab DG is anticipating a rush on highways when readymade garments factories will go on Eid holiday. Rab has taken measures to cope up with the traffic, he said.